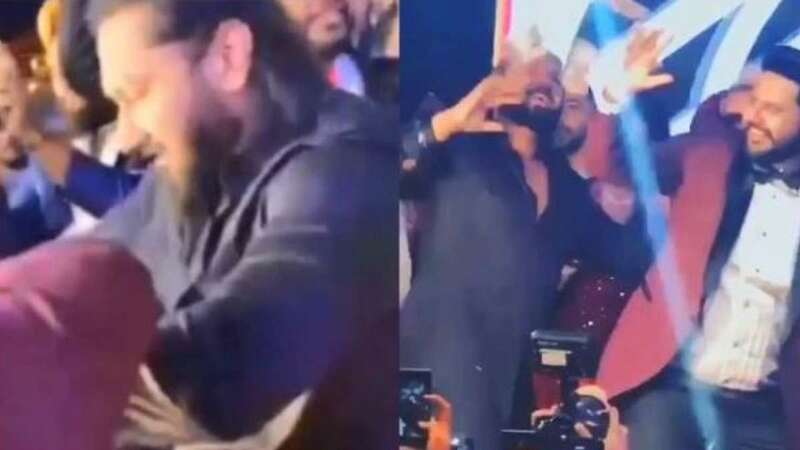 Punjab : Punjabi rapper and singer Yo Yo Honey Singh's new video has surfaced on the internet in which he is seen performing some very cool bhangra steps at a friend's wedding reception. Honey Singh attended the function of singer Alfaaz and danced his heart out. Interestingly, the baratis can be seen showered money on the singer in the video. On the work front, Yo Yo Honey Singh was last featured in the song 'Makhna', the song had received much love and praise from his fans. Along with Honey Singh, Makhna was crooned by Neha Kakkar, Singhsta, Pinaki, Sean and Allistair. It was produced by Bhushan Kumar and directed by Mihir Gulati. Honey Singh, Singhsta and Hommie Dilliwala penned down the lyrics.